Let yourself immerse in a heaven of serenity and quickly forget the world outside. Indulge yourself and restore your well-being. 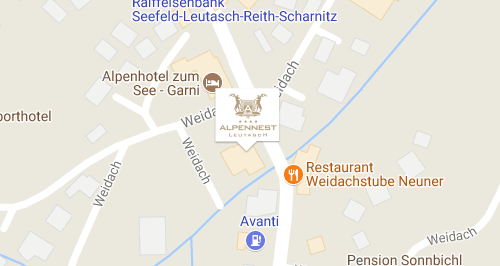 Forget about the world outside in the ultimate oasis of serenity at the Alpennest Hotel. We invite our guests to immerse in a pure, natural environment that will reinvigorate and rejuvenate your mind, body and soul. Our exclusive wellness area with various types of saunas will inspire you to relax in Tyrolean "old wood" atmospehere. The recreation area offers a view of the surrounding mountains and our garden is the perfect place to unwind. In the garden, you will find large Jacuzzi overlooking the Hohe Munde and the Gehrenspitze. The hot whirlpool is one of the most desirable places to relax both in summer and winter. During summertime, you can take advantage of our sunrise yoga sessions on the terrace once a week. Easy yoga – surrounded by our amazing mountain panorama – is what restores the balance between body and mind. No matter if you come back from an exhausting bike-tour or a long hike – a massage will relieve you of stiffness and aching muscles. Our masseur will be called into the hotel according to your wishes. Appointments can be made at the reception desk.